Oh the joys of first day supplies, a teacher's best and worst nightmare all wrapped up into one! The first day of school is always filled with our little ones either bringing in every single thing we asked for or bringing in absolutely nothing, the in betweeners are very few, if that. Our school started having a Meet and Greet last year on the Friday before school starts. It only lasts about 20 minutes and it is pretty much a time for parents to drop off the supplies and for the students to see their desks and their teachers. We only talk about first week expectations, so we still have something to talk about at Open House. This saved me so much time! I have the parents leave the supplies on their child's desk and when everyone leaves I go around with my checklist to see who brought what. I then place everything in its appropriate place (cabinet, basket or shelf) so the classroom remains organized. For those who don't bring in supplies on this day, I do the same thing when they do bring them in. I send home one and only one reminder the Wednesday of the first week of school. I figure that whoever doesn't bring supplies by the 2nd Monday of school, can't bring them in for their own reasons. So many other students bring in much more than we need, so there is always something for everybody. How do you handle your first day supplies? 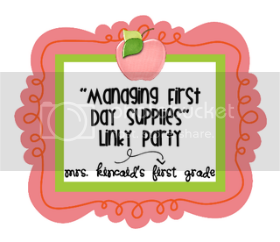 Hop on over to Mrs. Kincaid's First Grade to join the Linky Party! I like what you said about "if they haven't sent it in by then, there are probably reasons for that." Helps me be a little less controlling with this situation! 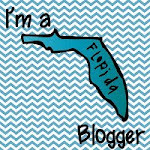 ;) Thanks for your insight and linking up!